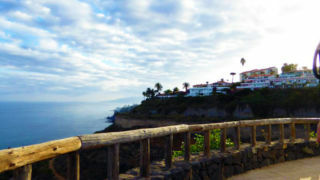 We escaped the pier at Tenerife on a tranquil day at 8:25 am and headed towards the southern part of the island. The drive to Cave of the Winds took one hour and 10 minutes. 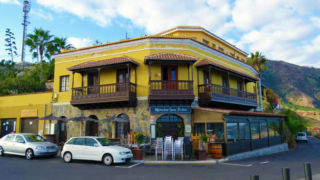 On the road to our destination we learned that Tenerife stands for White Mountain and Santa Cruz Tenerife is the capital of the island chain with a measured population of 878,000. Yearly tourism increases these population figures about six fold. 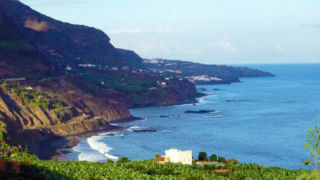 Geographers believe the majority of inhabitants of Tenerife should be of African descent based on the island’s position, but instead, the population consists predominantly of Spaniards and Cubans. 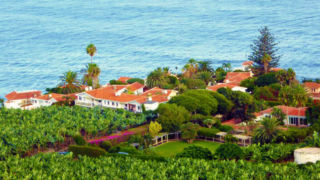 The rainforest on this island is one of few standing on an African continent. 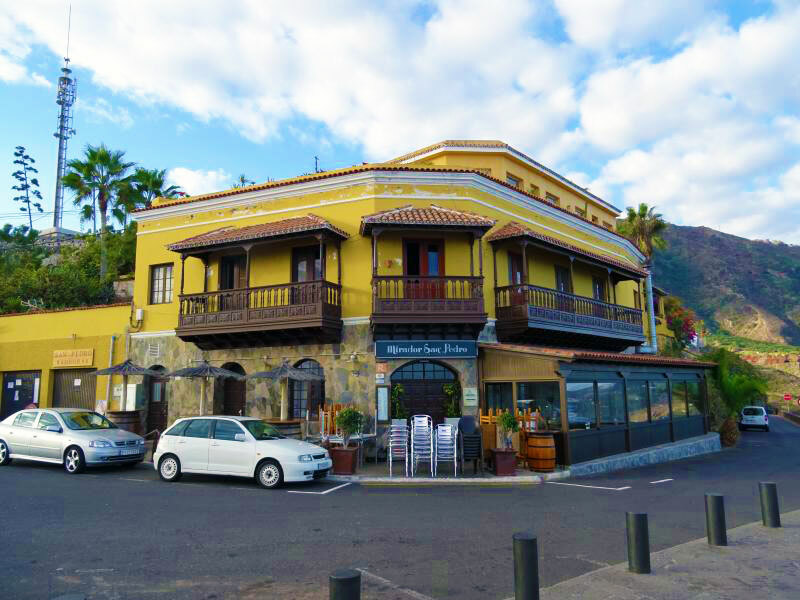 The subtropical climate makes Tenerife the leading place for volcanic activity in the world. 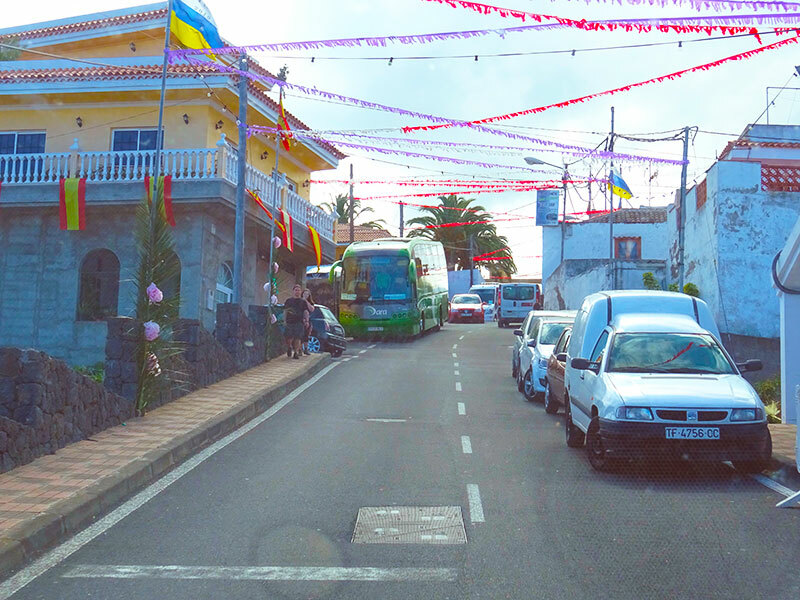 During the ride, Tenerife’s highest volcano, Mount Teide, is visible if you are sitting on the left side of the bus. 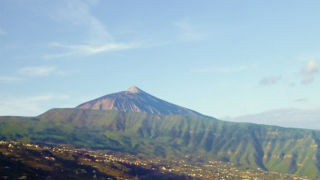 Mount Tiede last erupted from the El Chinyero vent in 1909. Shortly after passing Mount Teide we stopped for photos at the Rambla de Castro overlook. 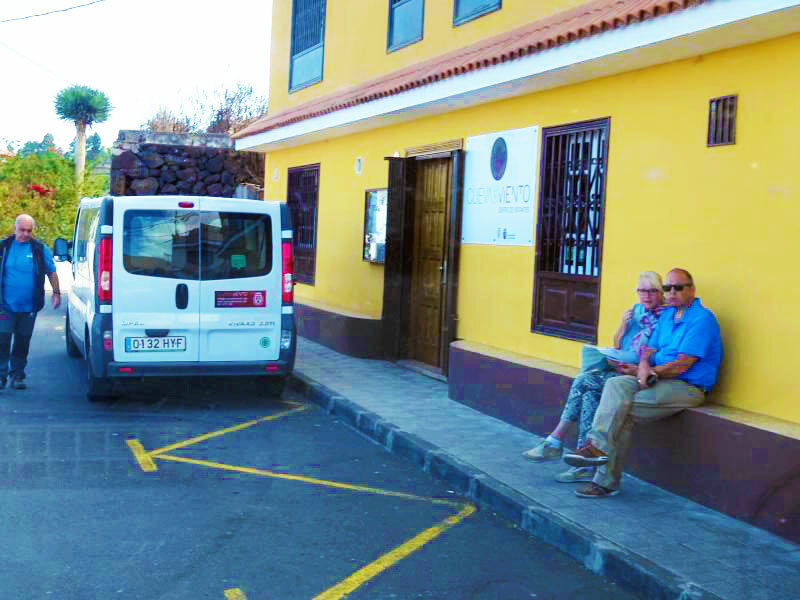 Unfortunately due to the curvature of the terrain you are unable to view Mount Tiede from this vantage point so make certain you take a photo along the way. We spent 20 minutes at Rambla de Castro. 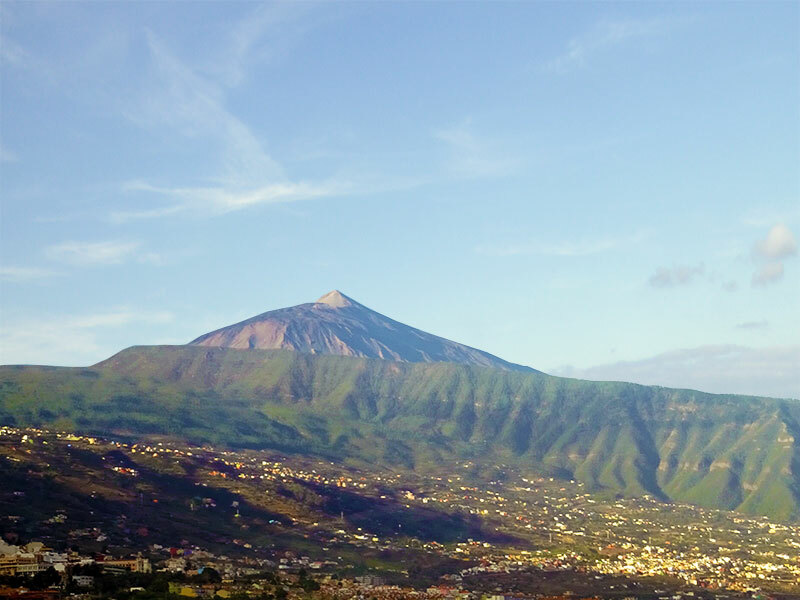 The highest volcano in Tenerife, Mount Teide. Mirador San Pedro restaurant at the overlook. 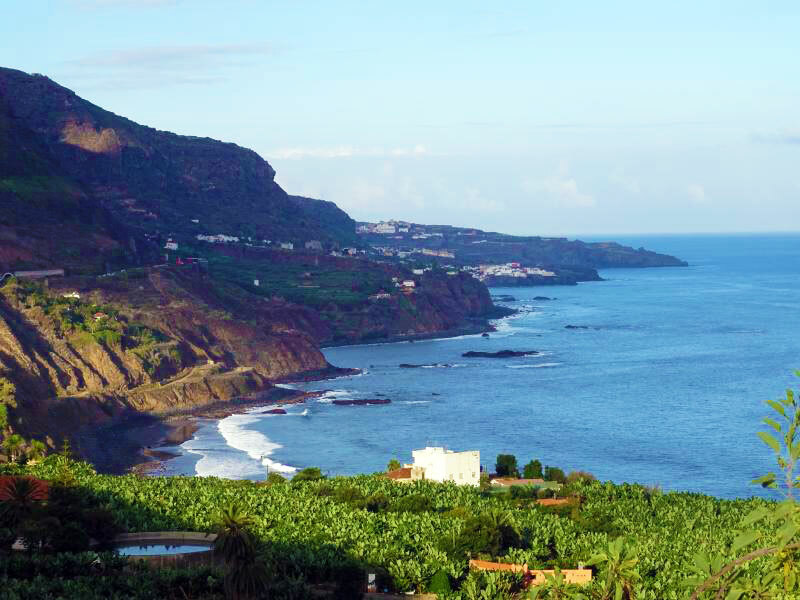 A southern look at the Tenerife coastline. 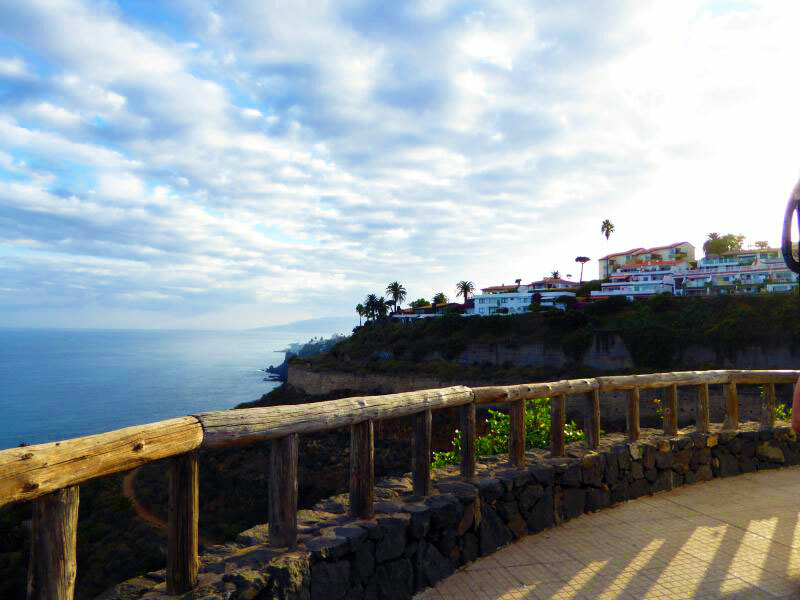 Overlook of the Tenerife northern coastline. 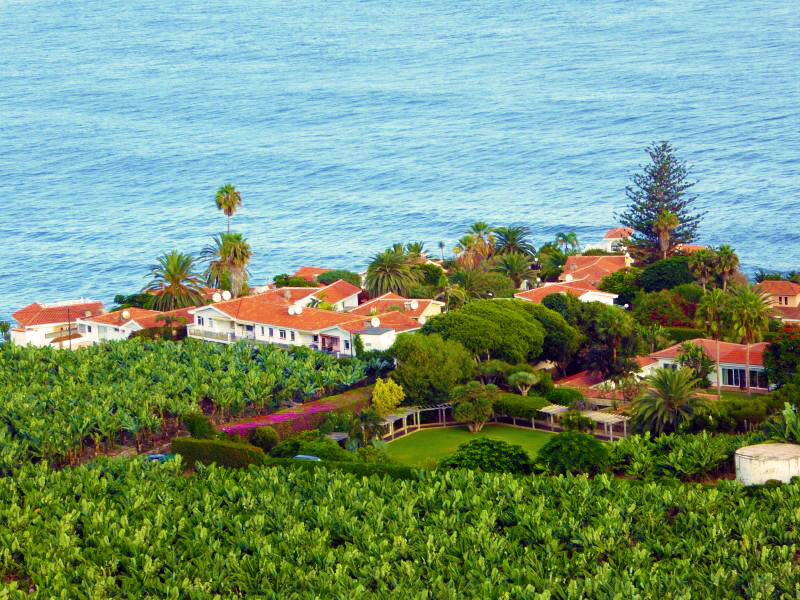 Banana farm on the coastline of Tenerife. 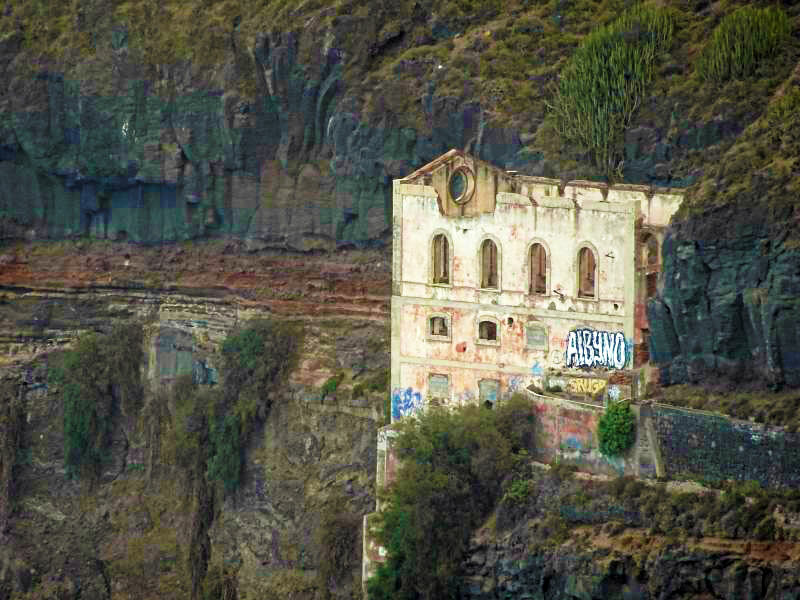 Abandoned La Gordejuela Pumping Station along the coastline. We arrived at the Cave of the Winds at 10:40 am. About one-third of our group came inappropriately dressed for cave hiking. Some participants wore sandals and flip-flops. 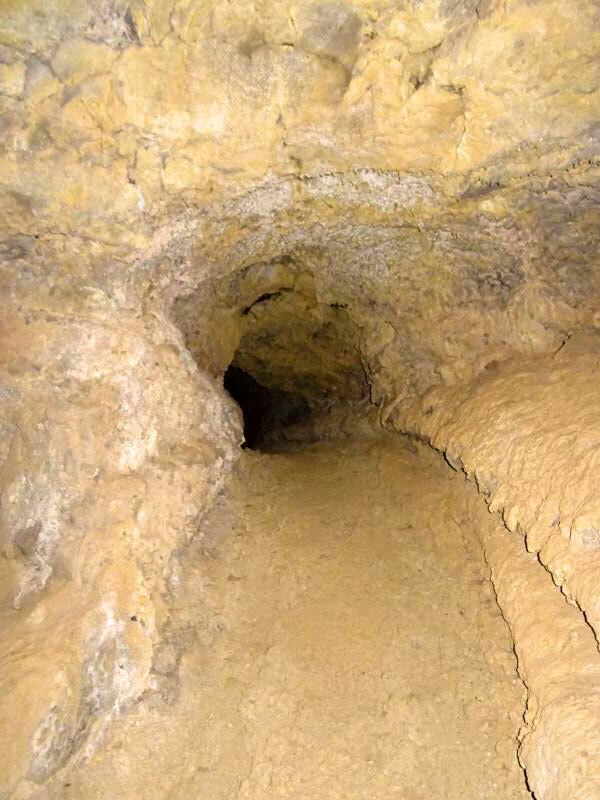 The cave surface consists of knobby, rough ground with no outright paved surface. 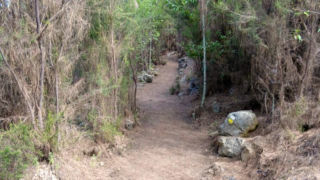 It is recommended to bring hiking boots or rubber soled shoes to reduce slippage. We further think taking a lightweight jacket is beneficial due to the cooler temperatures of the cave. The tour company has some limited boots and other essentials on hand for those truly in need. 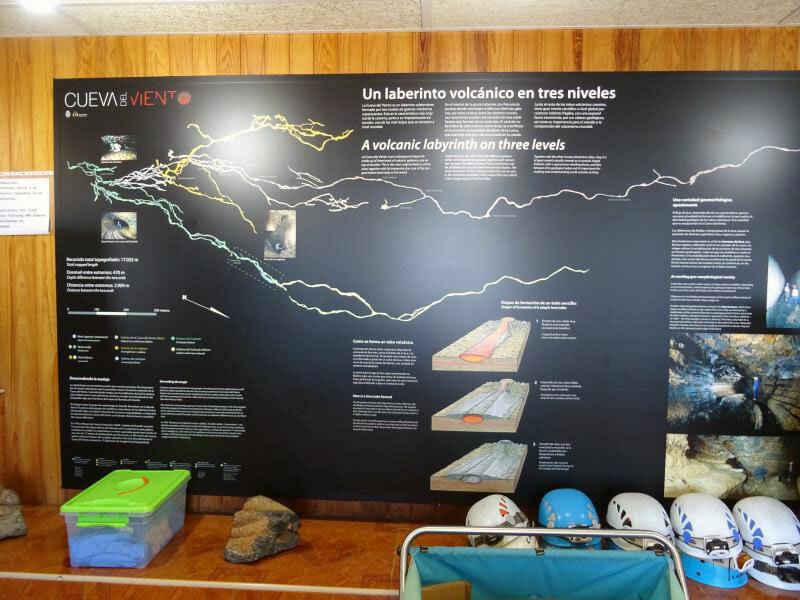 Initially we heard a commentary about the cave and watched a short video presentation. 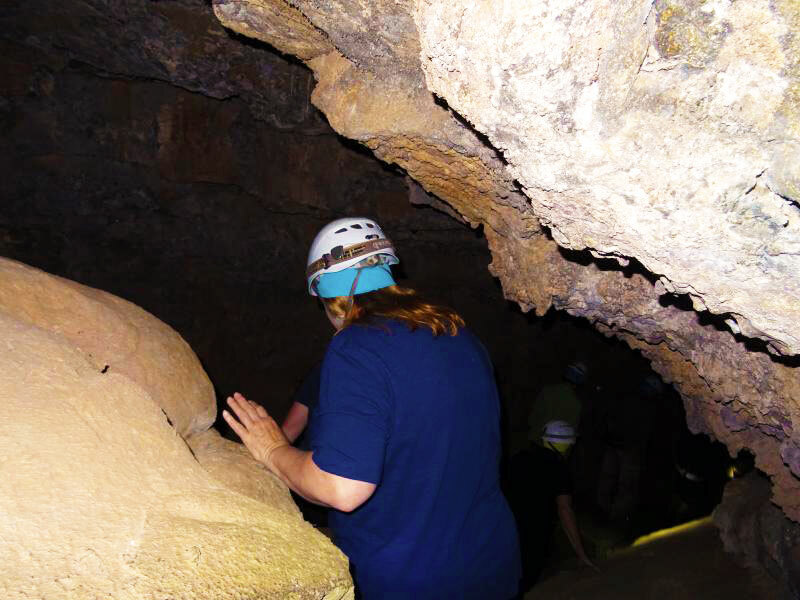 Our tour guide revealed that scientists had explored approximately 11.5 miles, or 25 percent, of the cave so far. 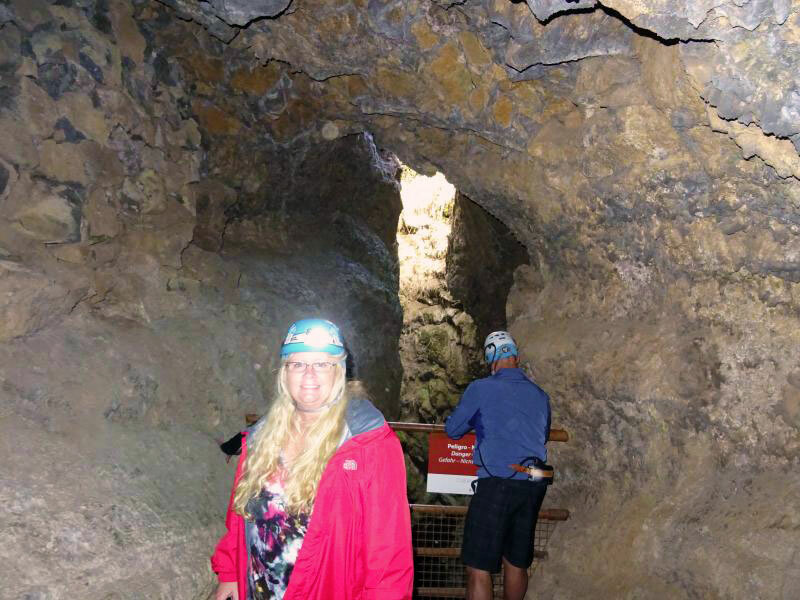 Cave of the Winds ranks as the fifth longest lava tube cave in the world. 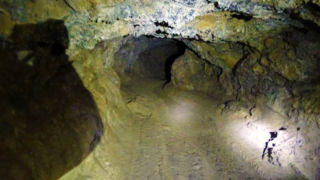 Geologists believe the lava tube is about 25,000 years old. 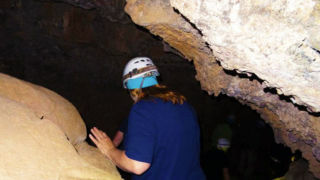 Currently, public access to the cave is limited to 656 feet. 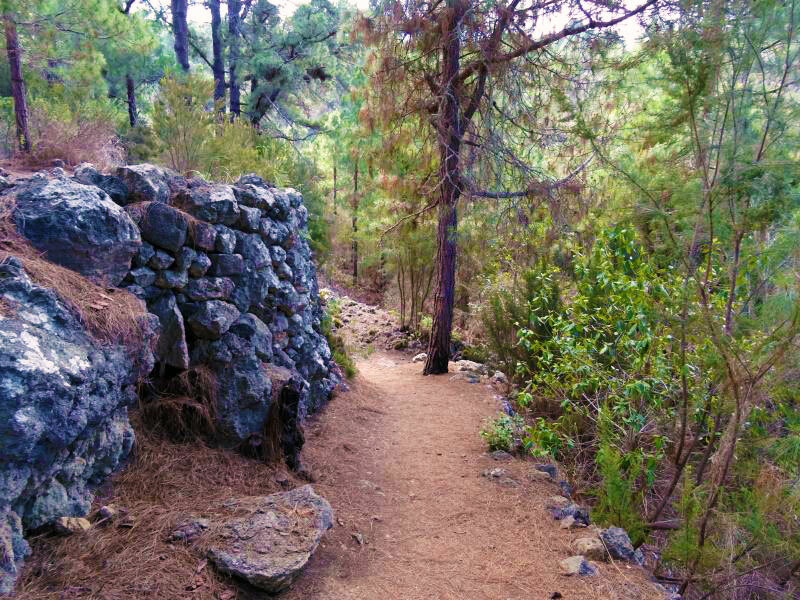 A total of 250 caves exist on the island of Tenerife. Cave of the Wind tour office and transport. 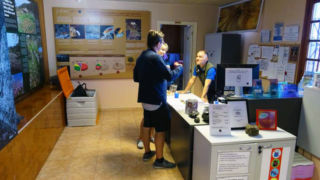 Inside the tour office with our geologist guide, Anchor. 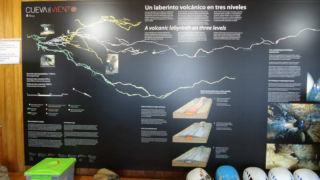 Explanation of lava tubes at the Cave of the Wind tour office. 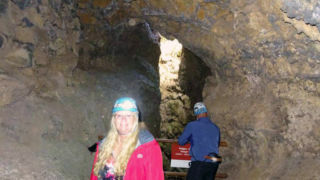 With our history lesson concluded, we were issued hard hats, hair nets, and lights for our tour of the Cave of the Winds. 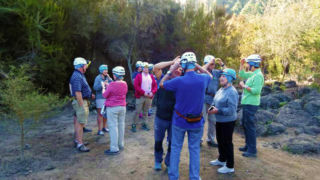 The women in our group were issued helmets, with a small light attached that operated on AAA batteries. The Men received an earlier model hard hat with a wide battery pack worn around the waist. 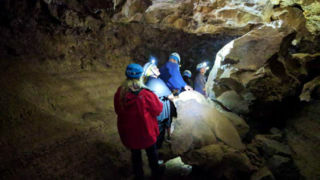 We broke into two groups of 16 to provide for a better caving experience. The second group commenced 20 minutes after the first. Additionally, we drove 10 minutes from the reception area to a spot in the middle of the woods. Entering the cave involved hiking about one-half mile to its entrance. 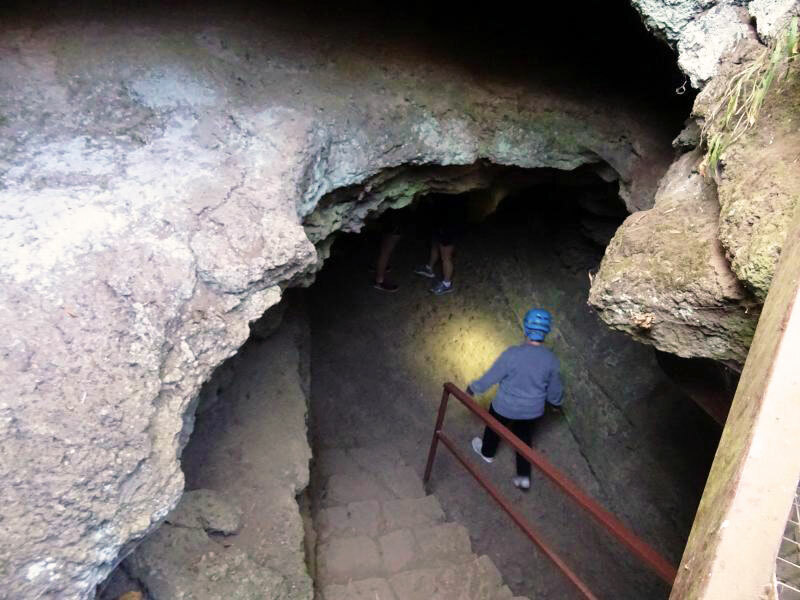 If you visited the cave on your own, you would enjoy a 45-minute hike prior to exploring the cave. During the brief hike, we heard about the uniqueness of the forest. 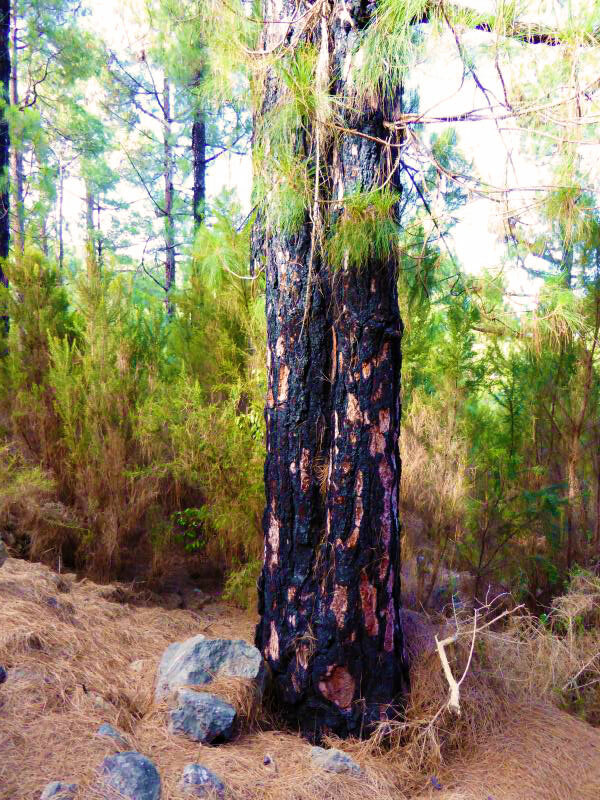 The Canary Island pine is one of the most fire-resistant pines in the world. 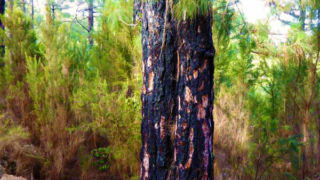 The chemical makeup of the pine prohibits oxygen from penetrating its bark in extreme heat conditions. In the event of a disastrous fire, it takes as little as five months to reclaim the full forest owing to its extraordinary composition. If you cut down one of these distinctive pines, the trunk grows two offshoots in place of the original, making this a rare forest indeed! 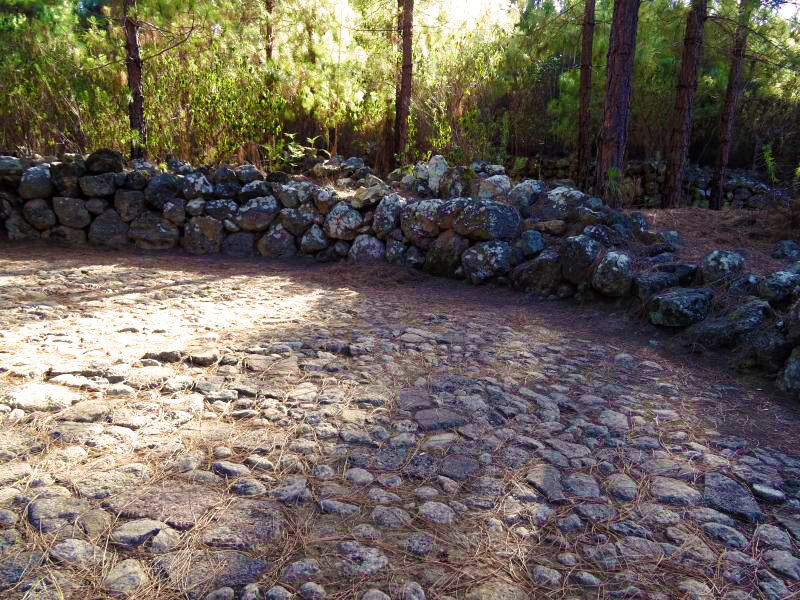 Next, we observed some round clearings with stone walls indicating homes once stood nearby. 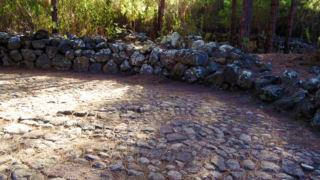 We also saw evidence of storage areas where crops and grain were placed. 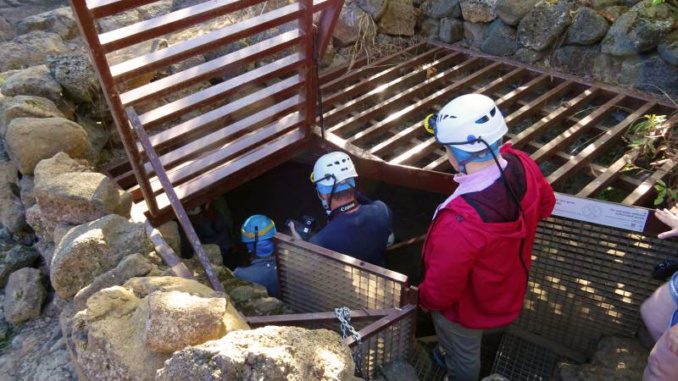 As we reached the entrance to the cave, we put on the hard hat, and activated the light. We clambered down a steep staircase and into the Cave of the Winds. Our Geologist (Drago), who was leading the group, snapped a photo of each couple as they entered. 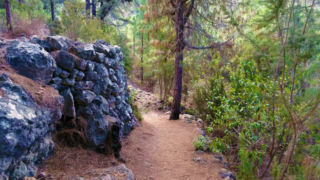 Special Canary Island Pine that resists fire. 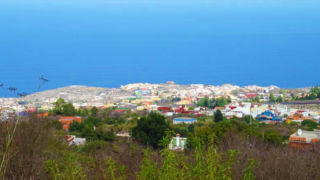 Settlement areas on the mountain side. 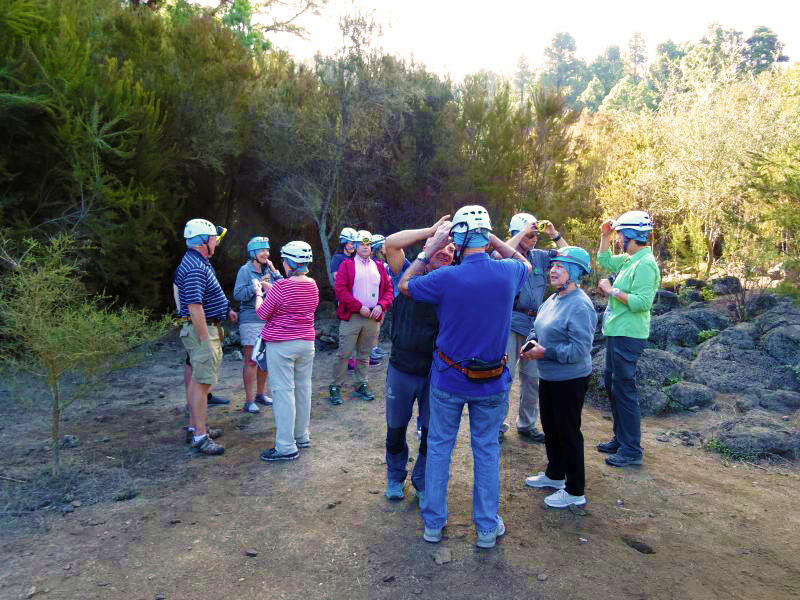 Our tour group preparing to enter the cave. Just outside the cave and ready for our tour. 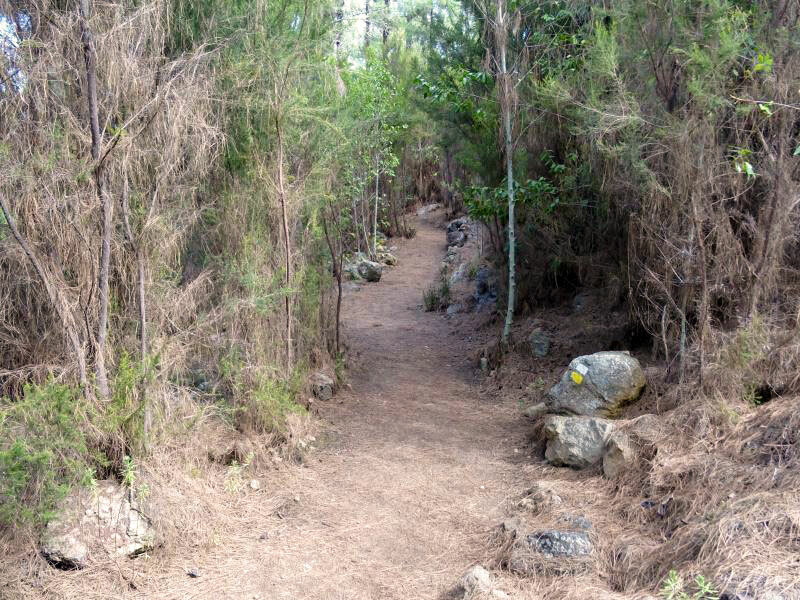 The walking path to the cave is covered in pine needles and tall grasses. Once inside we assembled in the first large area noting the knobbiness of the ground underneath our feet. The temperature was about 55 degrees. Drago made mention that we were all sitting firmly between lava layer two and three of the eruption. This flow was estimated to be more than 60 feet thick. Now we descended into the cave that cascaded down the mountain toward the sea. 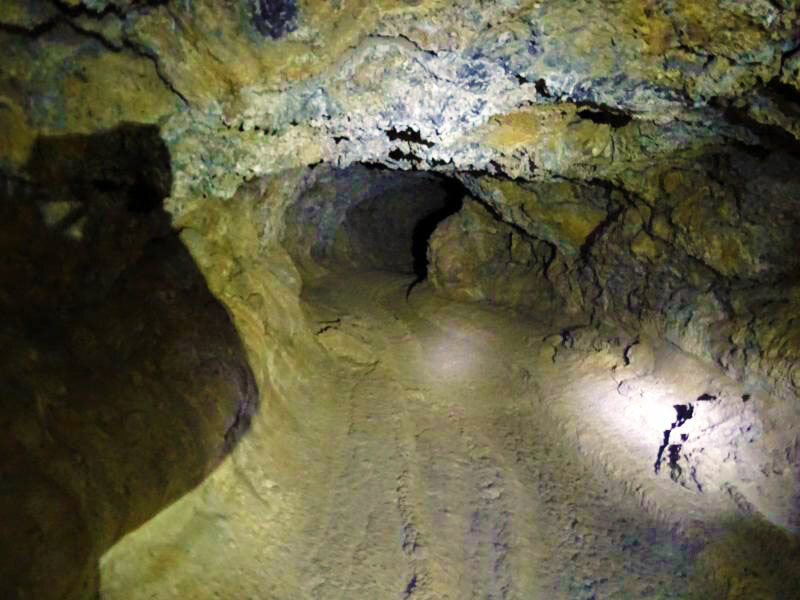 The slope in the lava tube creates a natural air flow or air-conditioning of sorts. Hence the name Cave of the Winds is inferred. 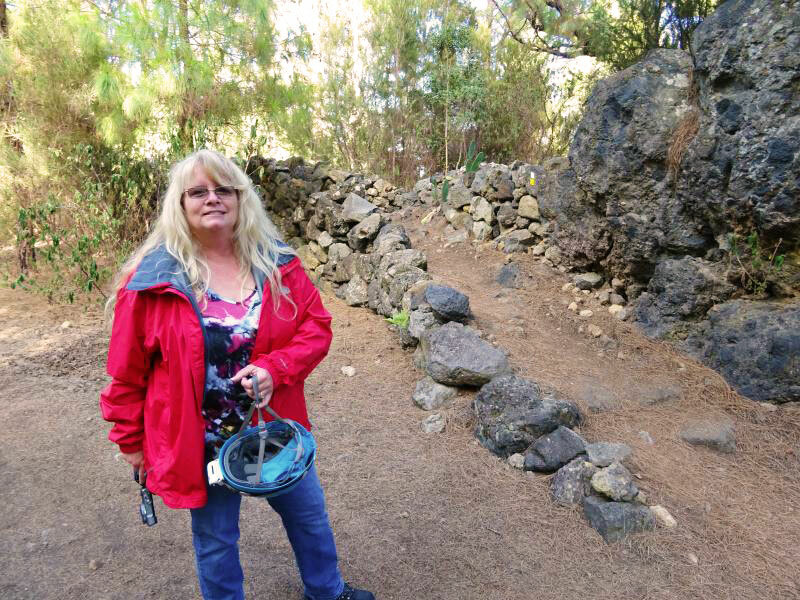 We paused at several specific locations during our decent where we saw gas bubble formations, corkscrew lava, and a skylight in the lava tube ceiling. After reaching the bottom we made our observations then prepared to work our way back towards the entrance. About two-thirds of the way back, we halted for the customary ‘turn off the lights’ trick and tuned our ears to the sounds of nature. 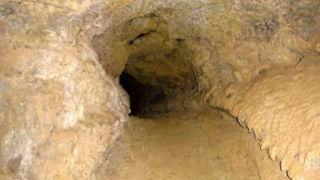 We have come to expect this when venturing into a cave with a guide. Some people got worked up with the scenario so we quickly started moving again with the lights back on. 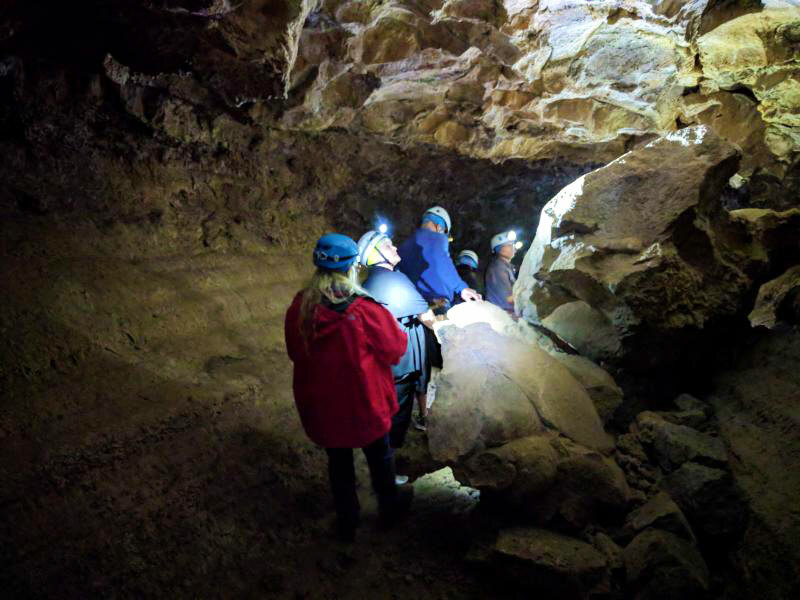 Only a few types of insects live in the lava tube caves, mainly crickets, spiders, and caterpillars. There are no bats in the Cave of the Winds due to their inability to accurately navigate the tubes. 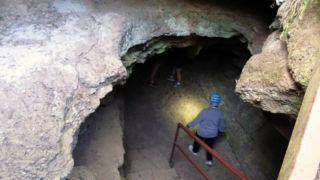 The main opening of the cave. Great shot of the lava tube. 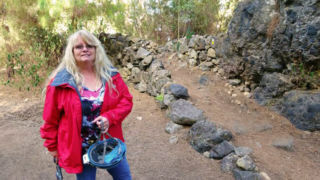 Walking down the lava tube. One of the larger lave tubes. There is good reason to wear a helmet on the tour. The end of the tube that led to the outside. After exiting the cave and disposing of our gear, we embraced the feel of heat from the sun with all its humidity. We strolled back to the road where our van waited to transport us to the reception center arriving at 12:10 pm. 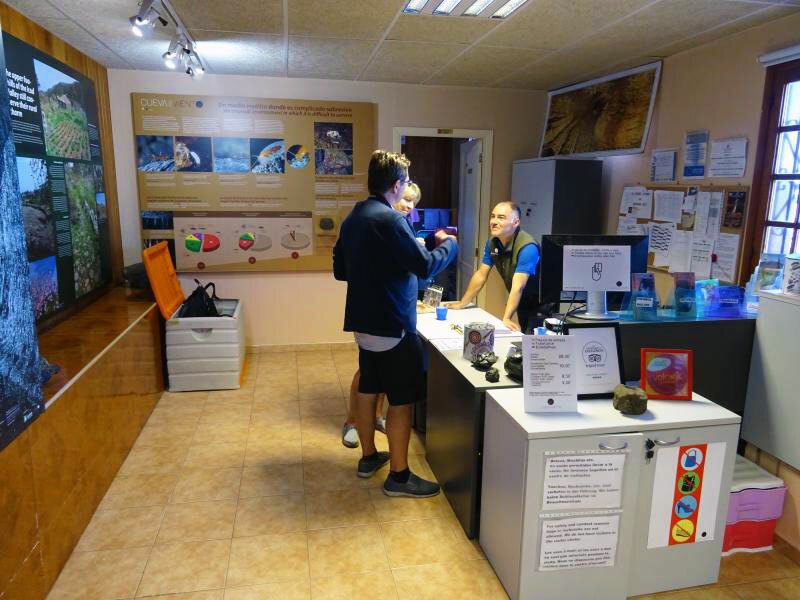 Once inside the facility, we read more about the insects discovered in the cave. We also sampled a local staple of Gofio de Mezcla, a nutritional supplement for hikers and outdoor enthusiasts. This flour based product tasted like caramel corn and cost 2 Euro for a 16-ounce bag. Now we waited the 20 minutes for the other group to arrive. 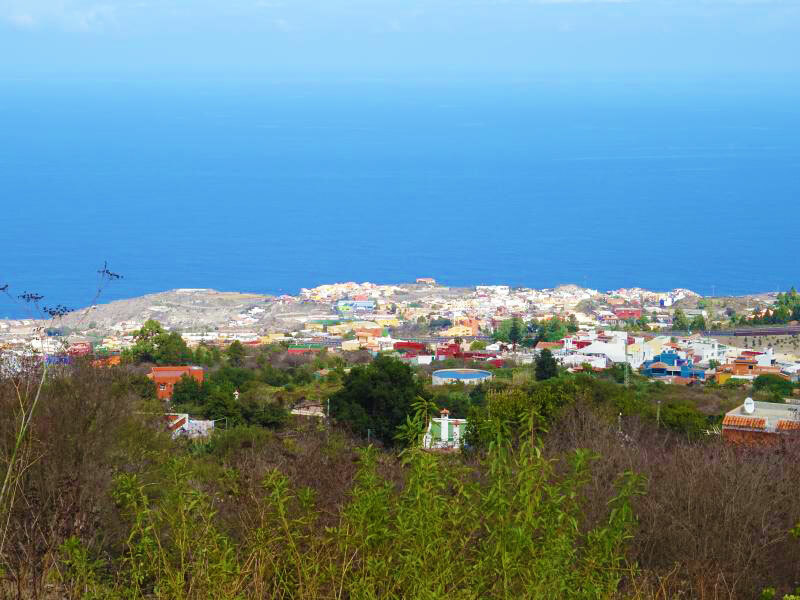 The small, hilltop town of Santa Cruz was in the midst of a religious celebration which we observed. There were many flashy decorations strung across the streets. 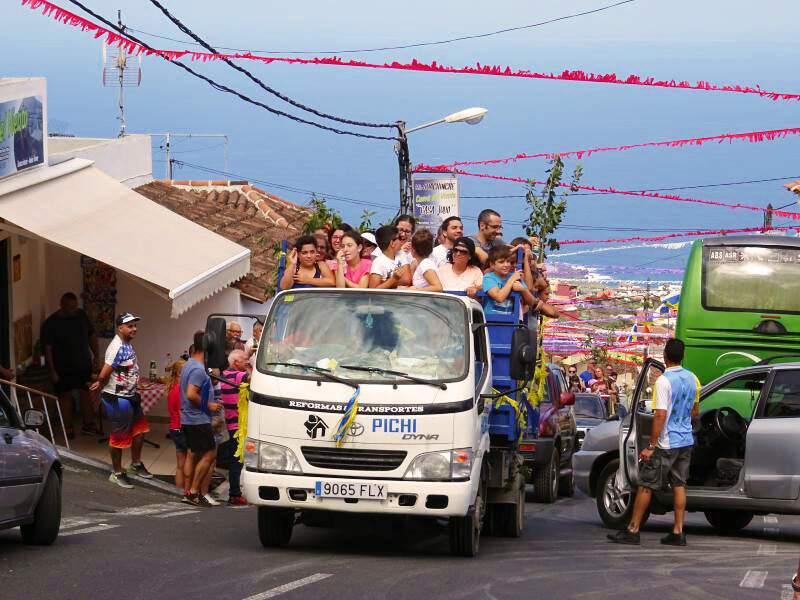 We saw truckloads of celebratory townspeople driving up and down the hillside. 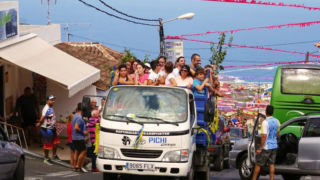 Many groups had Palm leaves protruding from their vehicles while playing loud music and waving at us all. 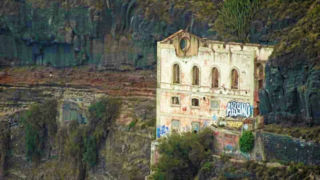 It was a moment of unexpected fun that added to an already delightful excursion. 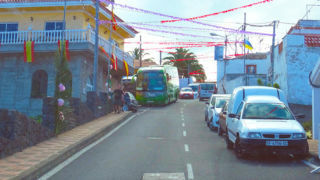 The town is decorated for the month-long celebrations. The townspeople are celebrating the Our Lady of the Rosary festival. At 12:30 pm we departed Santa Cruz for the pier arriving at 1:40 pm. 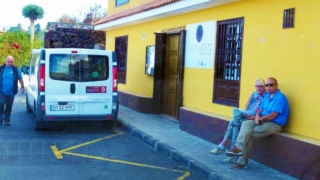 There was no option to be dropped off in the town of Tenerife on the return journey.